Heading to NOLA this weekend! Hello everyone! 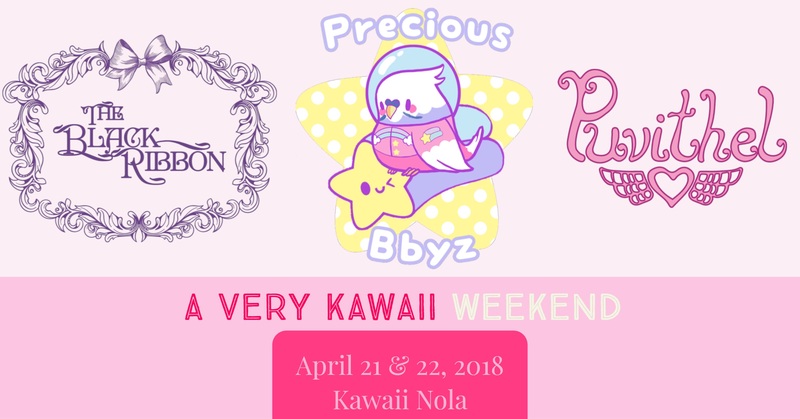 We have several new items in stock and are taking our show on the road to Kawaii Nola for a very kawaii weekend with Puvithel and Precious Bbyz! We cannot wait to see everyone who’s planning on stopping by! So excited to meet everyone and show off our new wares. Once we get back from the trip we’ll update the website with our new items and an event report. See you soon Big Easy! For the first time ever we’re carrying socks from the wonderful Santa Cruz based SockSmith. They’re a great company and we love to support other small businesses. We’re carrying carefully selected styles that best suit our clientele. Our retail prices will be the same as theirs and we’ve made it so it’s free additional shipping when you add any accessory to your order! Here are the first few styles we’ve added and look forward to having many new fun styles available as time goes on. Check out the socks in our Accessories section of our webshop! Last month there were absolutely devastating wildfires just north of our San Francisco studio in Sonoma and Napa counties. We could smell the smoke and see the haze for almost a solid week from our windows. We would like to try to give a little back to our local community by offering this collection of wine inspired prints with 25% of all proceeds going to 2 local charities: Napa County Community Foundation and Sonoma County Resilience Fund. We hope you like these lovely pieces and know that they were made with our hearts and minds on those who are still recovering from the blaze near by. We’re starting to release our winter collection for this year. Our first set is “Snow Day” with a coduroy and cotton skirt with matching pre-shrunk cotton blouse, both are trimmed in flocked snowflake organza. Available now in the webshop! FREE SHIPPING UNTIL FRIDAY THE 13th! !